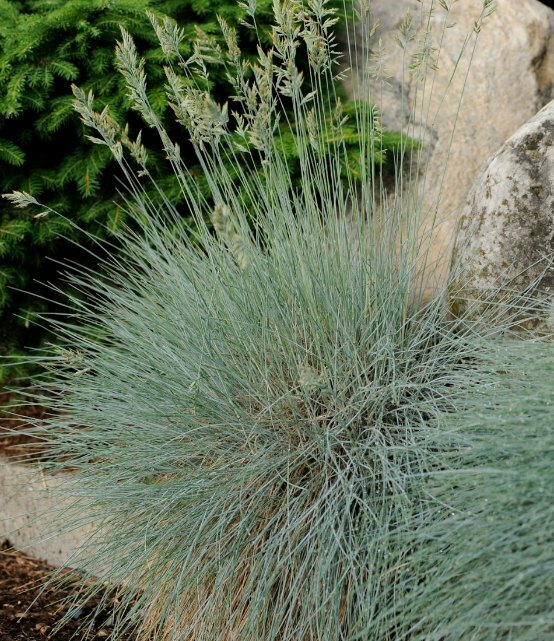 Grow Festuca 'Elijah Blue' in full sun and well drained soil. Winter wet will cause it to rot. Although it is evergreen trim it back in the spring to promote fresh new growth. Division every three to four years in the spring will keep the clumps looking good.